We are delighted to welcome Kate Westbrook a.k.a. 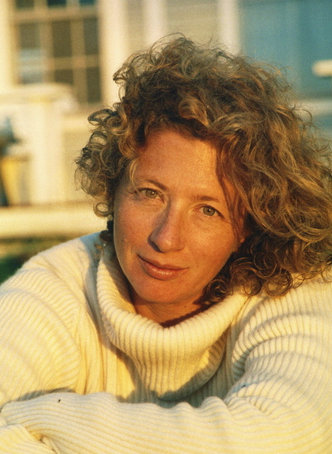 Samantha Weinberg, author of the acclaimed series of books – The Moneypenny Diaries. The first diary fills in the gaps between a number of agent 007’s missions including the period between On Her Majesty’s Secret Service and You Only Live Twice, but also includes an entire backstory for Moneypenny. For the first time since Fleming introduced the character alongside Bond in Casino Royale, Moneypenny is given a first name: Jane. She also published two short stories for magazines: “For Your Eyes Only, James” (Tatler) and “Moneypenny’s First Date With Bond” (The Spectator). 1. When writing the Moneypenny diaries, did you have a particular portrayal of her in mind either from the books or movies? I tried not to. My Bond world was very much the one of the books, and Fleming’s Moneypenny was hardly a three-dimensional character, so from that point of view, I had a clean slate. While it was hard to get the image of Lois Maxwell’s Moneypenny (in the early films) out of my mind, I wanted my Moneypenny (please forgive the possessive again) to be a more dynamic, powerful character, and although the Moneypenny Diaries were set in the 1960s, I wanted her to chime with modern women. 2. If you could cast anyone to portray your Moneypenny, who would you pick? Rebecca Hall or Kate Winslet. 3. 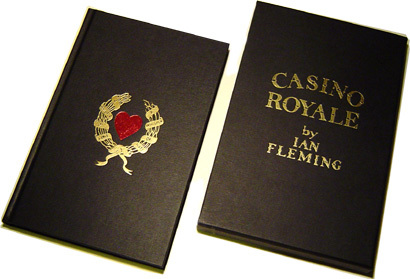 When did you read your first Ian Fleming novel and which is your favorite? I read my first one when I was in my teens – a long time ago. It was Moonraker and I found it on my father’s bookshelves. I particulalry remember the bridge hand. As for my favourite – hmm, probably Casino Royale; I like it for Bond’s uncertainty and vulnerability, and for that devastating last chapter twist. 4. What is your opinion of The Spy Who Loved Me, which was written from the female perspective of Vivian Michel? 5. What are your views on Ian Fleming as a writer and a man? I think he’s a great writer. The Bond books were so fresh when they came out, and so deft. He is brilliant at pace and description, and at creating tension. I don’t think he’s the best at character and emotion, but that’s not what the books were about. They redefined a time. As a person: well, I did a lot of research on him, and he was definitely complicated. Clever, ruthless, but – a bit like Bond – not emotionally mature. I think he lived, to a degree, in his brother Peter’s shadow, was his relationship with his mother clearly affected how he interacted with women. In Ann, he found someone stronger than him, and rather cruel, I fear. I would have liked to have known him, but not to have been involved with him. Samantha Weinberg (aka Kate Westbrook) is a writer and journalist. She has written six books – one travel-biography, two science adventures and the Moneypenny Diaries trilogy – and has yet to find her genre. She is currently working part-time as an editor at Intelligent Life magazine, commuting to London from a thatched cottage in Wiltshire, which she shares with her husband, wildlife filmmaker, Mark Fletcher, two children, and various animals. Buy the Moneypenny Diaries Trilogy on Amazon.